I've been looking for cute summer hats that aren't woven straw of some kind and have pretty much come up empty. 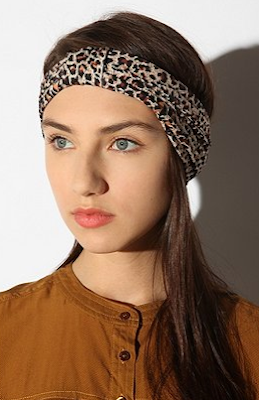 But I realized you can still rock fun headgear on hotter months, like this cute turban-style headwrap! Buy at Urban Outfitters in leopard print or grey for $19.